Settling into a new community can be a daunting experience. You buy a house after learning something about the community in which you will be living, but you really don’t have any friends or neighbors there, at least at first. You also have to make your kids comfortable in their new school and figure out important things such as where an all-night pharmacy might be found or where the best local bakery might be. The bakery thing was especially important. One of the rules of my life had always been to live within walking distance, preferably a short walking distance, from a bakery. Fresh baked good were important to my breakfast and my general mood for the day. A buttered roll and a rich, creamy pastry for desert were my favorite breakfast, although I knew even then that nutritionists were unlikely to approve. Fresh rolls and pastries brought me peace of mind and cheerfulness throughout the day, and working in the schools of New York City I required some self-pampering. The kids settled into our new community quite naturally. Melissa who was all of two or three, and not yet attending school, became the neighborhood nudist, wandering in and out of the house without a stitch on. As conscientious, liberal parents, we tried to convince her of the necessity of wearing clothes, but to no avail. The neighbors found her adorable, and now that she’s an adult herself, I’m probably in trouble with her because I chose to remind her of this. Josh and Jennie were at the local elementary school, and were adjusting admirably. Josh did have some trouble at the beginning but that resolved itself. 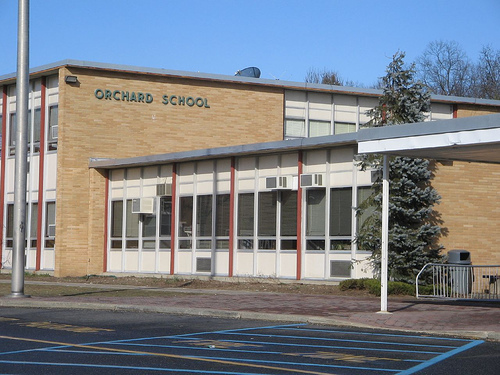 The principal of Orchard School was a man named Dr. Charles Abate, known to almost everyone as Charlie. At the time he was an enthusiast for a type of learning related to computers. The computer, however, generated so much paper work for the teachers that the system was basically unworkable. Before moving to Ridgewood, we had naturally enough visited the school and met its principal. In his office he asked us about our children, and we told him that Jennie, who would be starting Kindergarten, was an unknown quantity, but that Josh, who was due to start Second Grade, seemed to be having trouble with his reading, and as we had brought it with us, we showed Dr. Abate Josh’s First Grade reading text. He noted that he knew the text, and that this particular booklet we had shown him was one sixteenth of the year’s reading curriculum at Orchard. After we moved in to our new house, we registered Josh and Jennie at Orchard School, after which, Josh spent each lunch hour with Dr. Abate as his reading tutor, and Josh did learn to read. The attention to reading, while good for Josh, also had a downside. In his classroom, on the blackboard, there was a list of the students in the class, arranged in reading level order, and my Josh was at the bottom of the list. One of my thoughts at the time was about the ravages this might do to my son’s self-esteem. On the other hand, self-esteem would take care of itself once Josh learned how to read. And then there was the thought that little damage would be done to his self-esteem if he couldn’t read the list anyway. Needless to add that Josh became a reader and his self-esteem is fine. The things we parents worry about! Hi. 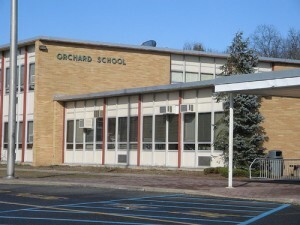 I went to Orchard School with Dr. Abate, and participated in the “computer-based” curriculum. I believe it was called PLAN, and I’m trying to find information on it. Do you recall anything else about it, or have any ideas of keywords I could use to search the internet? Any ideas much appreciated. Thanks! Sorry, no idea. The ERIC database might have something of interest.